“A truly great library contains something in it to offend everyone.” - Jo Godwin. 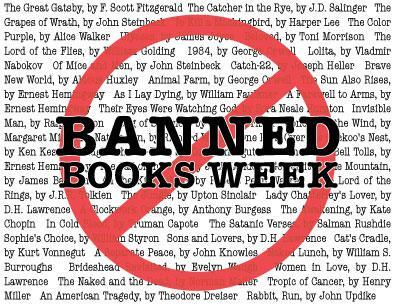 Celebrate “Banned Books Week” and borrow a banned book at the library sfrom our display of Banned and Challenged Books! With hints on the cover as to what you might read, discover what inspired each attempt at censorship. Rate your “date” this night, earn a chance to win a prize basket, and discover the power of intellectual freedom and the First Amendment. 18+ years.